Shop online for 72 life-like at discounts up to 24%. 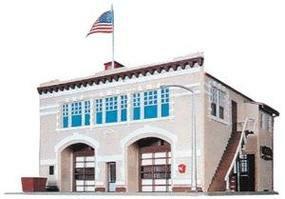 This is the Hampden Fire Engine House #46 Kit Model Train Building HO Scale from Life-Like Trains. 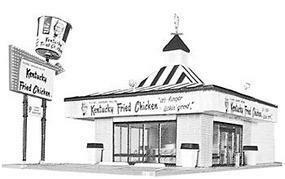 This is the Kentucky Fried Chicken(R) Drive In Kit Model Train Building HO Scale from Life-Like Trains. 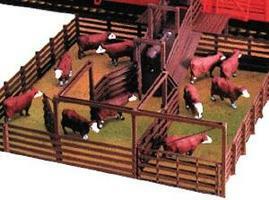 This is the Track Brite Cleaner Model Train Track Accessory from Life-Like Trains. This is the Trackside Shanties Three Different Shacks Kit Model Train Building in HO Scale by Life Like. This is the Power-Loc Track(tm) Steel 9'' Straight Black Roadbed (4) Model Train Track HO Scale From Life-Like Trains. This is a 5th Precinct Police Station Kit Model Railroad Building N Scale from Life-Like Trains. This is the Woodlawn Police Station Kit Model Train Building HO Scale from Life-Like Trains. This is the Ace Super Market Kit Model Train Building in HO Scale by Life Like. 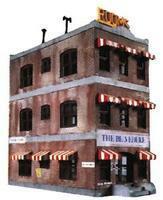 This is a Volunteer Fire Company Kit Model Railroad Building N Scale from Life-Like Trains. This is the Bettendorf Trucks (2) Model Train Truck from Life-Like Trains. 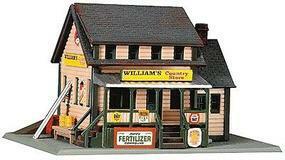 This is the Town Church Kit Model Train Building in HO Scale by Life Like. This is the Power-Loc Track(tm) Steel 18'' Radius Black Roadbed (4) Model Train Track HO Scale From Life-Like Trains. This is the Horn-Hook Couplers Pkg 4 Model Train Coupler in HO Scale from Life-Like Trains. This is the A National Oil Co. Kit Model Train Building in HO Scale by Life Like. This is the Power-Link Adapter Power-Loc(TM) (2) Model Train Track HO Scale From Life-Like Trains.